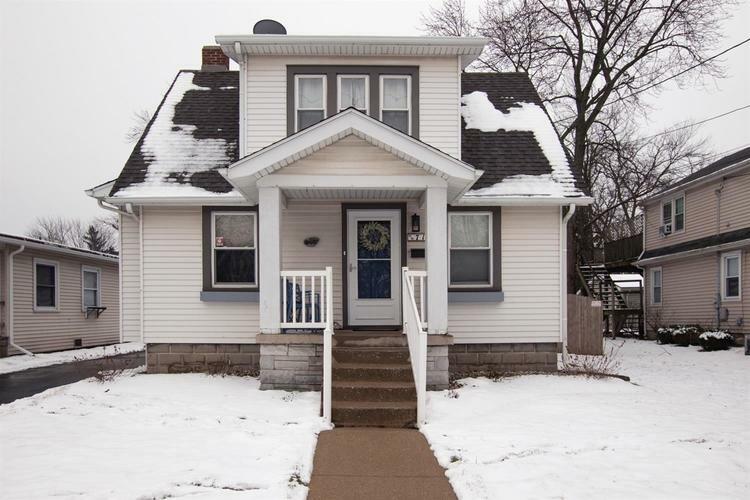 Welcome home to this charming 1.5 story in downtown Crown Point! Walk right in to the spacious living area and dining room with original hardwood floors. The kitchen has modern updates with ceramic flooring, custom backsplash, quartz countertops and fresh paint. Stainless steel appliances to stay. Upstairs is two nice sized bedrooms with plenty of closet space. Updated full bath with tiled surround, new vanity, paint, quartz countertops and flooring. The basement is fully finished with rec room, office space, laundry and more storage! Large, fenced in backyard with new landscaping and detached garage. This one won't last long! Directions:Turn right onto E 109th Ave, continue onto E. North Street. Turn left on N. Indiana Ave., Turn right on E. Clark Street.